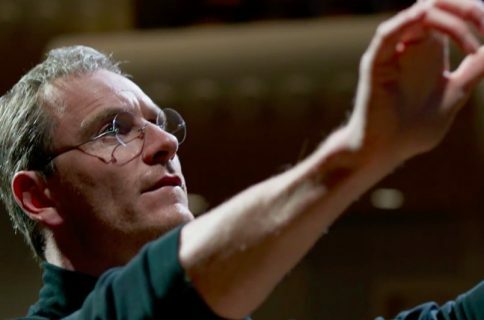 Folks who can’t wait for Ashton Kutcher’s Steve Jobs biopic to hit theaters—its April release date was recently pushed back to allow time for more marketing—will be happy to hear that another Jobs movie is going to be launching next month. Justin Long will be portraying Jobs in the film, which is interesting giving his history with Apple. Long, who is now known for his roles in cult comedy classics like DodgeBall, played the part of the ‘Mac’ in the company’s popular ‘PC vs Mac’ ads. The idea for the film was born out of a brainstorming session for a Steve Jobs movie trailer, where the jokes escalated beyond the site’s usual 5 minute timespan. The Times says that this is by far Funny or Die’s longest project in its 6-year history. There are 2 other, more accurate, films on the way based on the late Apple co-founder. One, the aforementioned biopic starring Ashton Kutcher, is set to be released later this year. And the other, written by Aaron Sorkin, is in the early stages of production.